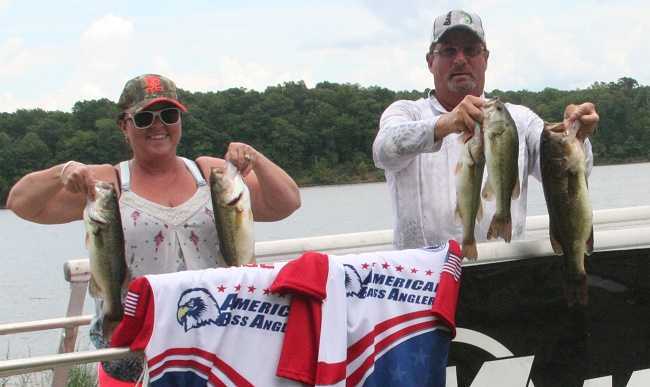 Larry Bailey and Tammy Hoffner caught the days’ only limit of 5-bass weighing in 11.78-pounds. Their limit was anchored by a nice 4.59-pound largemouth. This couple caught their fish fishing shallow and flipping docks. They earned a $550 payday for their effort. Second place went to Eddie and Tammy Barclay. They had two very nice bass totaling 7.20-pounds. They caught their fish on Carolina rigs and jigs. They took home $325 for their hard work. Cory and Meagan York finished third with two fish weighing 6.77-pounds. One of those fish was a very healthy 4.82-pound largemouth that took the Men’s Big Bass pot for the day. They took home a total of $245. 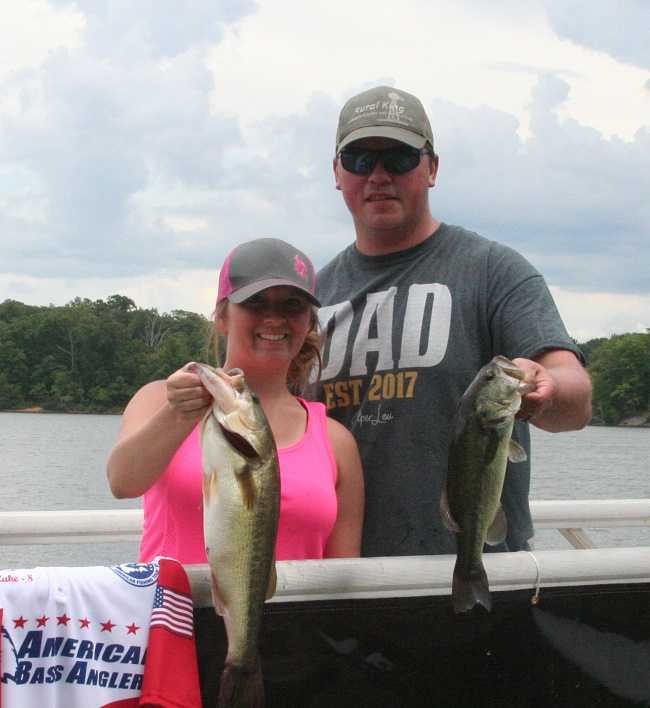 Fourth place went to Scott and Brandi Vanover with two bass weighing 6.08-lbs. 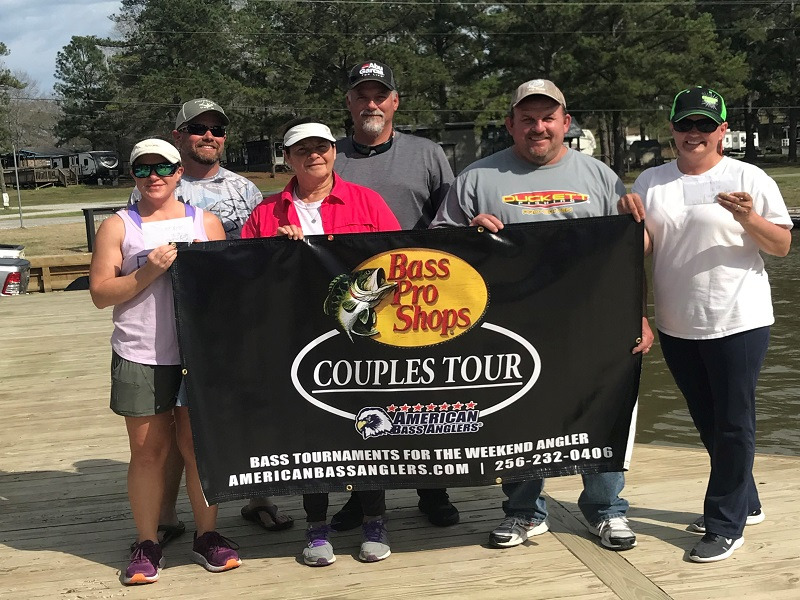 Finishing up the top 5 was Buddy and Natasha Hopkins with two bass tipping the scales at 5.99 pounds. 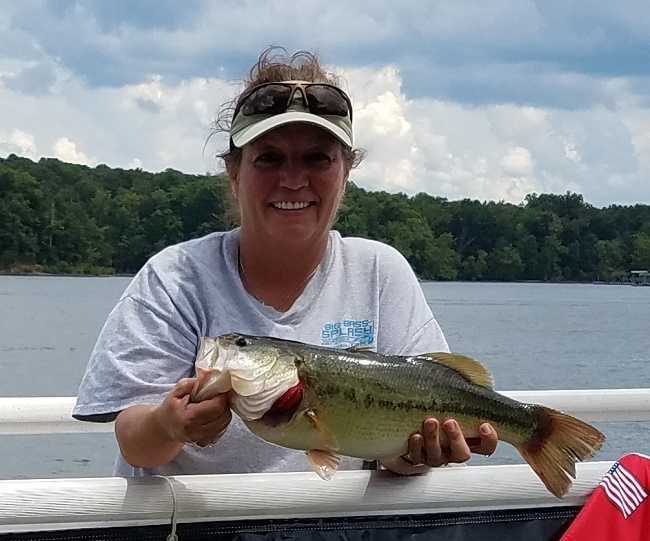 Finally, Dee Baggett took Ladies’ Big Bass honors with a 4.64-pound lunker, earning her $70 for the day. 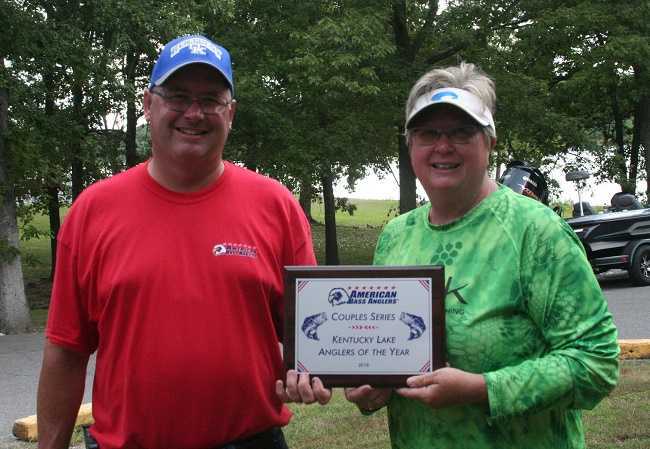 Our Anglers of the Year plaque went to Jay and Shari Holsapple. It was an extremely tight race for that honor. Six teams were mathematically within reach at the beginning of the day. Bob and Cindy Linton were second only 2 points behind. Scott and Brandi Vanover were 11 points back in third place, while Danny and Dee Baggett finished fourth overall only 15 points back. Rounding out the top five were the Barclay’s, Eddie and Tammy only 20 points out of first. One more or one less fish by any of these teams would have changed the entire standings. Congratulations to all these teams for there year-long effort. After the weigh-in, we had our season ending cookout. Everyone present enjoyed a great meal of BBQ, potato salad, baked beans and slaw. Gordon Summers volunteered to smoke the pork overnight. A big thank you to him. The Steele’s donated some potato salad and Angela Gordon made several delicious desserts which everyone enjoyed. We gave out over $2000 worth of prizes. A special thank you goes out to DUCKETT FISHING for donating several 50% off coupons for the event. Everyone present walked away with at least two gifts. Donna and I are privileged to be a part of such this truly great group of people, all of whom have become close personal friends. We are incredibly blessed and humbled by the gift we received at the cookout. We want to give everyone a very heartfelt thank you for that gesture! We will be posting the 2019 schedule soon. 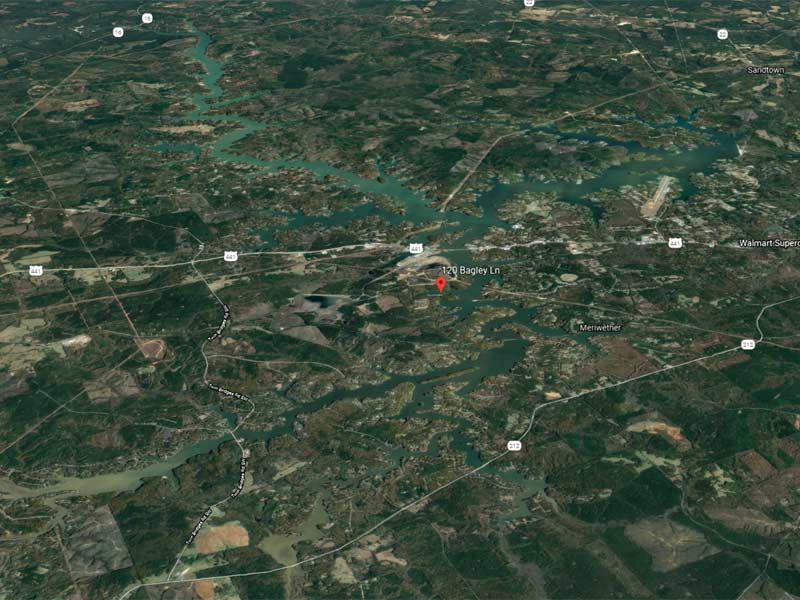 In the meantime, we hope all of you have the opportunity to attend the National Championship in September at Lake Hartwell. Again, thank you all for a great year. See you soon. God Bless!